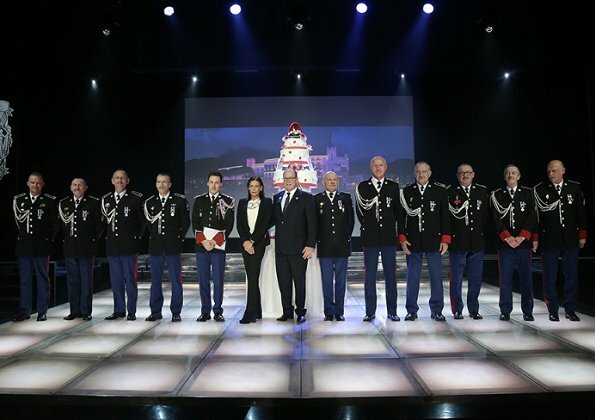 On, December 8, 2017, Prince Albert, Princess Stephanie and Louis Ducruet attended 200th anniversary gala dinner of the Palace Guards held at Hall of Stars in Monaco. The Palace Guards Corps was established on 8 December 1817. The Guards is composed of 3 Officers, 15 Sergeant-majors and 80 Privates, all highly trained French military men. It has been reorganized several times since its inception and in January 1904 Prince Albert I renamed them "Compagnie des Carabiniers du Prince." Does anyone know if Louis is wearing the uniform just for show or if he has whatever education is required to do so? 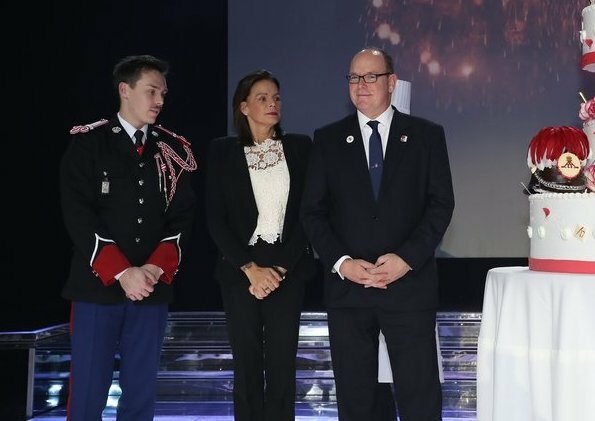 He was inducted as an honorary member earlier this year - his Casiraghi cousins and his uncle are also part of the Carabinieri in the same way. So, no it's not just for show but it isn't his job. 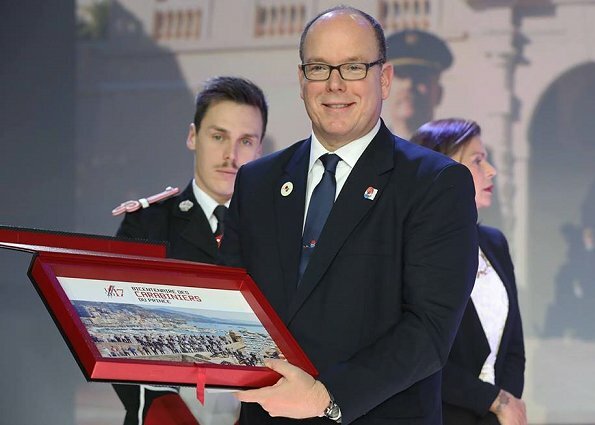 Ducruet would do well to shave the mustache also, even tho he wears the uniform of the carabiniers. I think Louis carries it off quite well - it looks better on him than it did on his uncle. That is true, I'm just not a facial hair person. Stephanie was named Carabiner's Godmother.